Tungsten carbide also called tungsten cemented carbide, cemented carbide or simply carbide.Tungsten carbide (WC) is an inorganic chemical compound containing equal parts of tungsten and carbon atoms. 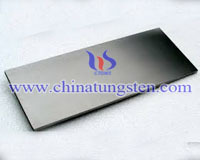 Tungsten cemented carbide can be pressed and formed into shapes from fine gray powder, which is considered to be its most basic form.Tungsten cemented carbide plate is approximately three times stiffer than steel, with a Young's modulus of approximately 550 GPa, and is much denser than steel or titanium. It is comparable with corundum or sapphire in hardness and can only be polished and finished with abrasives of superior hardness such as cubic boron nitride and diamond among others, in the form of powder, wheels, and compounds. Tungsten cemented carbide is the preferred material for parts that must withstand all forms of wear (including sliding abrasion, erosion, corrosion/wear and metal-to-metal galling) and exhibit a high degree of toughness. It exhibits high compressive strength, resists deflection, and retains its hardness values at high temperatures, a physical property especially useful in metal-cutting applications. Impact Resistance: Tungsten cemented carbides are surprisingly tough considering their high hardness. All carbide bars provided by us are include all these properties, which is suitable for cutting tools. Tungsten carbide has high melting point at 2,870 °C, a boiling point of 6,000 °C when under a pressure equivalent to 760mm of Hg, a thermal conductivity of 84.02 W·m−1·K−1, and a coefficient of thermal expansion of 5.8 µm·m−1·K−1. 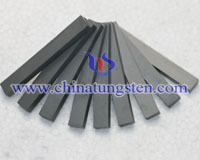 Tungsten carbide is extremely hard, ranking ~9 on Mohs scale, and with a Vickers number of 1700–2400. It has a Young's modulus of approximately 550 GPa, a bulk modulus of 439 GPa, and a shear modulus of 270 GPa. It has a very high yield stress at 6800 MPa, but a comparatively low ultimate tensile strength of just 35 MPa. The speed of a longitudinal wave through a thin rod of tungsten cemented carbide is 6220 m/s. With a low electrical resistivity of, tungsten cemented carbide's resistivity is comparable with that of some metals. WC is readily wetted by both molten nickel and cobalt. Investigation of the phase diagram of the W-C-Co system shows that WC and Co form a pseudo binary eutectic. The phase diagram also shows that there are so-called η-carbides with composition (W,Co)6C that can be formed and the fact that these phases are brittle is the reason why control of the carbon content in WC-Co hard metals is important. Carbide indexable inserts is with excellent physical properties, which is the same with carbide. There are two well characterized compounds of tungsten and carbon, WC and tungsten semicarbide, W2C. Both compounds may be present in coatings and the proportions can depend on the coating method. At high temperatures WC decomposes to tungsten and carbon and this can occur during high-temperature thermal spray, e.g., in high velocity oxygen fuel and high energy plasma methods. Oxidation of WC starts at 500–600 °C. It is resistant to acids and is only attacked by hydrofluoric acid/nitric acid mixtures above room temperature. It reacts with fluorine gas at room temperature and chlorine above 400 °C and is unreactive to dry H2 up to its melting point. WC dissolves readily in diluted hydrogen peroxide. There is no comprehensive comparison of tungsten carbide between and among tungsten carbide suppliers. A big part of the problem is the huge number of suppliers, grades and trade names. There are at least 5,000 different grades of tungsten carbide under more than 1,500 different trade names by more than 1,500 different companies. Refer to our carbide and advanced material index for more information on carbide material. 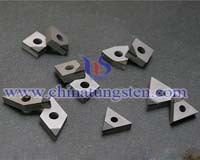 There is no true standard grade for tungsten cemented carbide. The US "C" designation, The ISO designation and other designations are not necessarily relevant. Tungsten cemented carbide from two different manufacturers may have identical designation but vary widely in almost every imaginable way including performance. 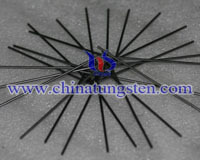 Carbide ball is widely used to make the rotating ball in the tips of ballpoint pens. Tungsten carbide block is a common material used in the manufacture of gauge blocks, used as a system for producing precision lengths in dimensional metrology. Tungsten cemented carbide part is used as guitar slide custom-made by English famous guitarist. The hardness, weight, and density of carbide materail give it more superior sustain and volume compared to standard glass, steel, ceramic, or brass slides. Carbide rod is usually used to make drils, end mills and other related cutting tools. Tungsten cemented carbide has been investigated for its potential use as a catalyst and it has been found to resemble platinum in its catalysis of the production of water from hydrogen and oxygen at room temperature, the reduction of tungsten trioxide by hydrogen in the presence of water, and the isomerisation of 2, 2-dimethylpropane to 2-methylbutane. It has been proposed as a replacement for the iridium catalyst in hydrazine-powered satellite thrusters.